Dental emergencies can bring on an array of complications, including bleeding and swelling. If you experience a toothache, calm tooth and gum discomfort with an over-the-counter pain reliever. Should you suffer a bitten tongue, apply firm and consistent pressure to the laceration site to subside blood loss. If you incur an injury that results in a broken tooth, locate the missing pieces to facilitate the restoration process. Some dental emergencies can leave your teeth and gums vulnerable to other repercussions. For instance, if you have a crown that comes loose, the exposed tooth may suffer an infection should bacteria penetrate it. To avoid this side effect, refrain from eating on the side of the mouth with the dislodged crown. You may also want to use a dental adhesive or sugarless gum to reattach the crown and safeguard the tooth until you receive professional treatment. If you knock out a tooth, reinsert it into the empty socket to protect both the tooth roots and exposed gum tissue. Ignoring a dental emergency can lead to severe ramifications. A loose crown that causes an infection can necessitate a root canal. 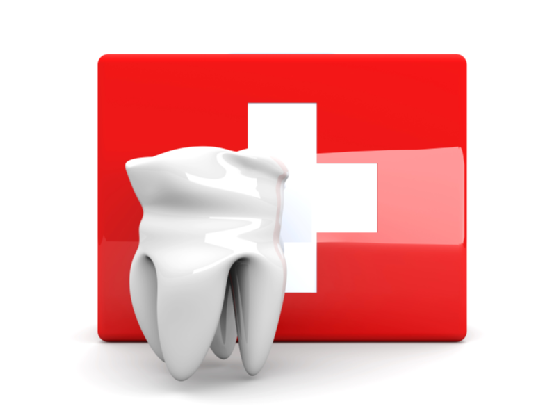 A knocked out tooth may be permanently lost if professional help is not sought. Even a toothache can threaten tooth loss if the underlying abscess causes damage to the roots and bone. Seeking the help of a dentist as soon as you experience a dental crisis can provide you with the best means of alleviating your emergency and enjoying restored dental health. Park 56 Dental can attend to your most pressing dental needs. Our team of top dentists can provide comprehensive treatment for many dental emergencies, including broken teeth, bitten tongues, and toothaches. Call us today at (212) 826-2322 for more information on our dental care options for residents of the greater NYC area. Tooth pain often indicates that an abscess, or infection, has developed inside the tooth interior. This video explains how a dentist can address this type of infection. When tooth decay reaches the inside of a tooth, it destroys the soft tissues that reside there. When blood vessels and nerve endings suffer from bacterial infection, a dentist must remove the unhealthy pulp. This necessitates a root canal in which the dentist extracts the interior tissues with files that can reach the center of the tooth. Once the tooth is free of the infection, the dentist can seal it and add a crown to restore its strength, appearance, and function. Are you suffering from a chronic toothache? Call Park 56 Dental in NYC at (212) 826-2322 for an appointment with a top dentist who can alleviate your pain with our comfortable root canal services. So that your Invisalign aligners take care of your orthodontic needs, you need to take care of your Invisalign aligners. 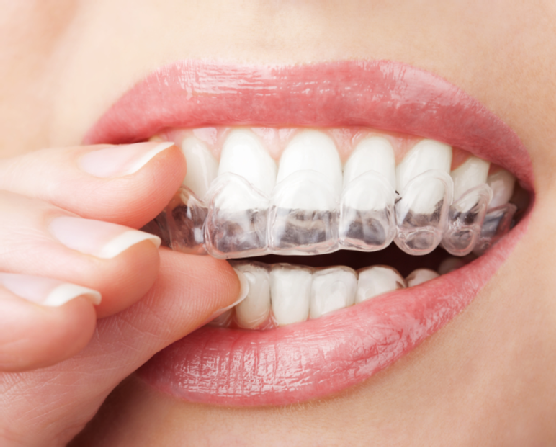 Proper aligner maintenance is a fundamental part of the orthodontic process. Not only will clean and undamaged aligners provide better treatment, but also they will prevent tooth decay and periodontal disease issues. To make sure that bacteria and food debris do not contaminate your aligners, brush them before inserting them into your mouth. You can also use a special solution to dislodge food particles. To protect your aligners from heat, trauma, and other damaging elements, keep them in a durable container when not in use. Removing your aligners prior to mealtime can also help to avoid eating-related damage and soiling. Park 56 Dental is a provider of Invisalign aligners. If you live in the greater NYC region and want to enjoy straighter and healthier teeth, we can help. Call (212) 826-2322 to make an appointment with a top dentist today. Have you experienced tooth loss? Missing teeth can interfere with your ability to speak clearly and eat easily. They can also inhibit your actions around others, as an incomplete smile can lead to reduced self-confidence. Dental implants can alleviate the problems most commonly associated with tooth loss. The following information highlights what you can anticipate when you undergo this type of restorative dental treatment. Unlike dentures, dental implants are permanent restorative devices. To provide you with the most comprehensive care possible, your dentist provides implant care over the course of several weeks or months. The first step of this process is the insertion of the titanium implant posts. Once in place, these posts fuse to the bone tissue around it. This provides an extremely secure foundation for the rest of the implant devices. It also lets you use your implant devices as you would your real teeth. You never need worry that your implants will shift or fall out of your mouth. As a result, you can eat and speak as you normally would with your natural teeth. Comprehensive smile restoration is a key aspect of getting dental implants. After the titanium posts have had the requisite amount of time to adhere to the jawbone, your dentist can then add the abutments and crowns to complete your smile. The abutments join the titanium implants to the crowns, which replicate natural-looking teeth. Made from porcelain, implant crowns are virtually undetectable among your natural teeth. You can smile with them knowing that they will blend perfectly with your real teeth. Only you and your dentist will ever know that you have undergone dental implant surgery. Are dental implants the right choice for your tooth loss needs? To find out more about the dental implant process, call Park 56 Dental at (212) 826-2322. We can schedule a consultation for you at our NYC practice to decide how best to rejuvenate your smile with our safe, effective, and comfortable restorative dentistry options.